Analogies and stories are communications equivalents of DNA replication and protein synthesis. Analogies help us to understand, by relating strange new concepts to familiar ones. Stories cause us to remember what we’ve learned. They transmit information and they create a culture. The social media revolution found a hospitable environment at Mayo Clinic in the early 21st century at least partly because networked communication had been an essential part of Mayo’s DNA since the late 19th century. 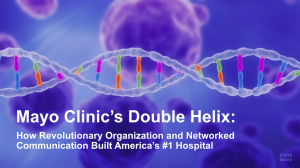 It also helped that we who advocated for Mayo Clinic’s involvement in Facebook, Twitter, YouTube and blogs were able to connect the underlying nature of these technologies with Mayo’s fundamental values: Teamwork, Altruism, Progress and Stewardship. Our greatest successes in communications and marketing have come from applying these values in our work. And to the extent we’ve been able to explain our social media strategy to internal stakeholders using analogies from Mayo’s clinical practice, research and education, we’ve gained support of our leaders and fellow employees. Our patients’ stories, whether told face-to-face to family and friends or more broadly through traditional or social media, have been indispensable ingredients in building Mayo Clinic’s international reputation. And so I close this introductory series with the story of Arlene Wacholz, who was born Arlene Hoelz at Naeve Hospital in Albert Lea, Minnesota in 1933. She graduated from New Richland (Minn.) High School in 1951, returning after a year of teacher training to teach in a one-room rural school like the one she had attended through 8th grade. Arlene married Leonard Wacholz on August 3, 1957. They settled on a farm near New Richland, adding two sons and a daughter by 1965. For fifteen years they were a typical Midwestern farm family of five. But in August of 1980, Arlene noticed bleeding from a birthmark on her lower leg. With what they felt was the best hospital in the world only 60 miles away in Rochester, Leonard took her immediately to Mayo Clinic. Diagnosis: malignant melanoma, the deadliest form of skin cancer. A skilled Mayo Clinic surgeon, Dr. Franklin Sim, removed a portion of Arlene’s calf and sent her home. No chemotherapy was available. Arlene and Leonard would return every three months for check-ups with their Mayo Clinic team, led by Dr. Edward Creagan, to hopefully catch any recurrences early. A little more than a year after Arlene’s initial diagnosis, her daughter Lisa went off to college. Within a month she began dating a young man and by Christmas they had decided to get married. As college freshmen, they knew that was a long way from being financially feasible, but they began making plans. 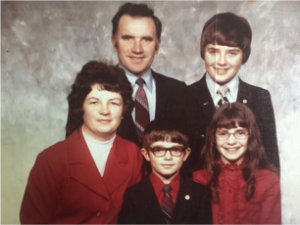 In the next three years, Arlene’s melanoma came back. The first time it was in her groin, on the same side as her previous surgery, and Mayo surgeons removed all of those lymph nodes. 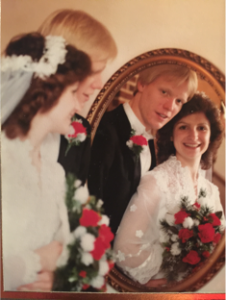 The second time was in November 1984, a month before Lisa’s wedding. Arlene felt a pea-sized lump in her thigh, between the sites of her two previous operations. 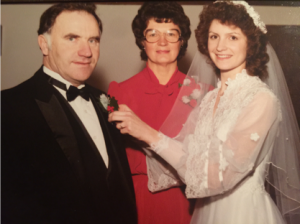 In this wedding picture, you can see a hint of sadness in Arlene’s eyes. With two recurrences of a deadly cancer, she thought it unlikely she would live to see any of her grandchildren. The melanoma never came back, but her health challenges continued. Arlene Wacholz faced and was cured of Non-Hodgkins Lymphoma, lost much of her vision to macular degeneration and finally succumbed to the progressive complications of Parkinson’s Disease on June 8, 2016. 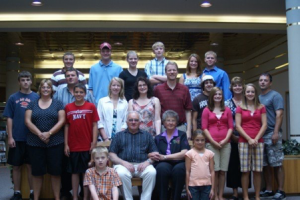 Arlene had witnessed the marriages of all three of her children, subsequently celebrating the arrival of 13 grandchildren and seven great-grandchildren. She was thankful to God for 36 years beyond her initial cancer diagnosis, and also was grateful for the various Mayo Clinic teams that cared for her. And when her only son-in-law landed a job at Mayo Clinic in 2000, she took it as a sign that he might amount to something after all. Mayo Clinic celebrated its 150th anniversary in 2014. I’ve been blessed to have worked at Mayo for a bit more than 10 percent of its history, and have seen some great stories up close. 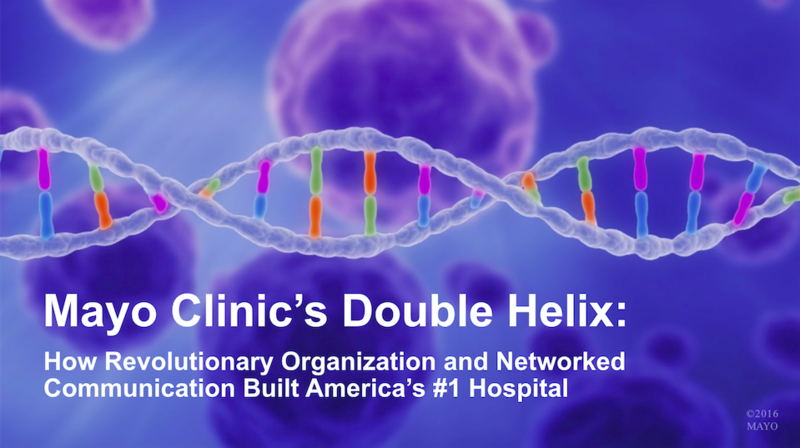 With permission of the patients involved, I’ll be sharing (and updating) them in this series to illustrate both the timeless, essential character of Mayo Clinic and also how it has adapted to a changing communications environment. I hope what follows in this series will inspire your contributions.